Since graduating from the celebrated Harrow Ceramics course in 1994 Daniel Smith has worked from the East London studio he helped establish. This continuity is reflected in his work with a commitment to exploring the same family of useful forms - plates, bowls, cups, jugs, vases. All pieces are hand-thrown in porcelain with a pared down aesthetic just occasionally emphasised with simple decoration. 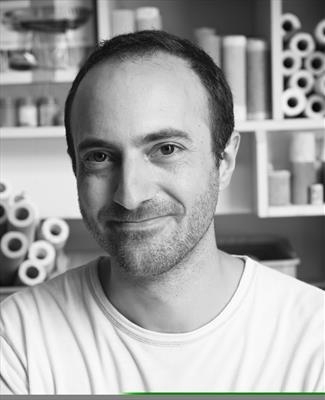 With quiet dedication Daniel has built up a loyal international following over the years, his work appealing to both collectors and those who like beautiful, eminently functional objects for everyday use. Most items are made to order though I always have some pieces available for immediate purchase. Items can take up to 3 - 4 weeks to make, so please check availability if you have an urgent request . Visitors to the studio are welcome by appointment.